Are you feeling patriotic? It's Independence Day in the US on Monday so this challenge is perfect timing for those of you who want to make a card to celebrate. I used a whole heap of CAS-ual Fridays goodies to make mine. 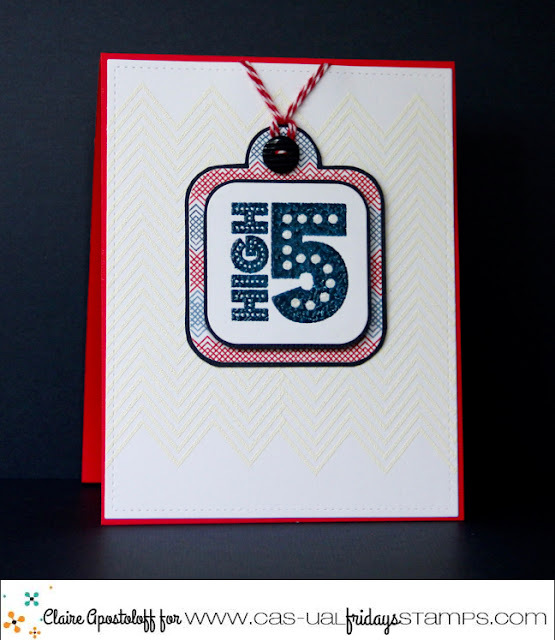 The big, bold sentiment is from Bravo which has a variety of large sentiment stamps to help you celebrate someone's special achievement. The High 5 is the perfect size for the Funky Square Tag Fri-die which I stamped with some red and blue chevrons from Zigs and Zags. I also white embossed the larger chevron stamp from the same set to add some subtle detail to the background behind the tag. So are you ready to get those fingers inky? 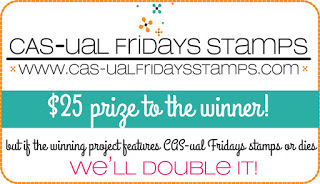 You have until Tuesday 12th July to link up your new creations and be in with a chance to win a $25.00 CAS-ual Fridays gift certificate. 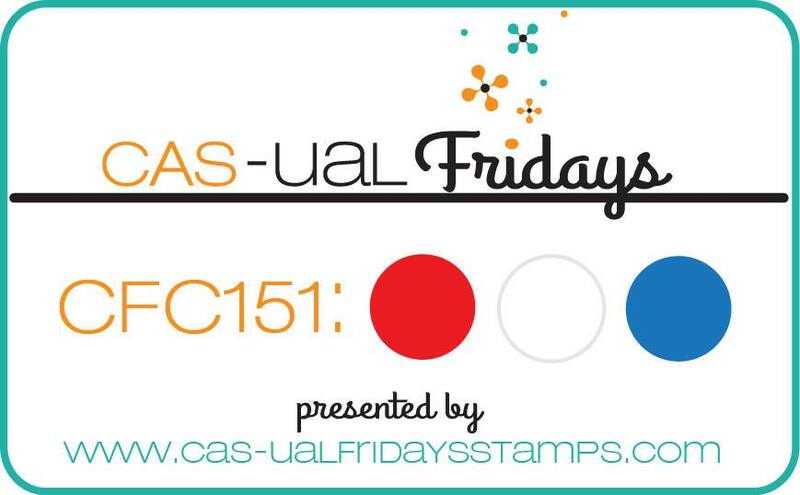 Use CAS-ual Fridays stamps and dies as the main image and the prize will be doubled! This is so pretty!! LOVE the fun way you used that sentiment in the middle of that tag! !